The Veterans Community Media Center has a new home! Join us at our new location 1720 Market Street on July 4, 2013 from Noon till 4pm. It’s our open house with introductions, tours of the new facility, American Legion Post 315’s installation of officers, an art exhibit by the San Francisco Bay Area Chapter of the US Veterans Artist Alliance, refreshments and more. Celebrate with us. 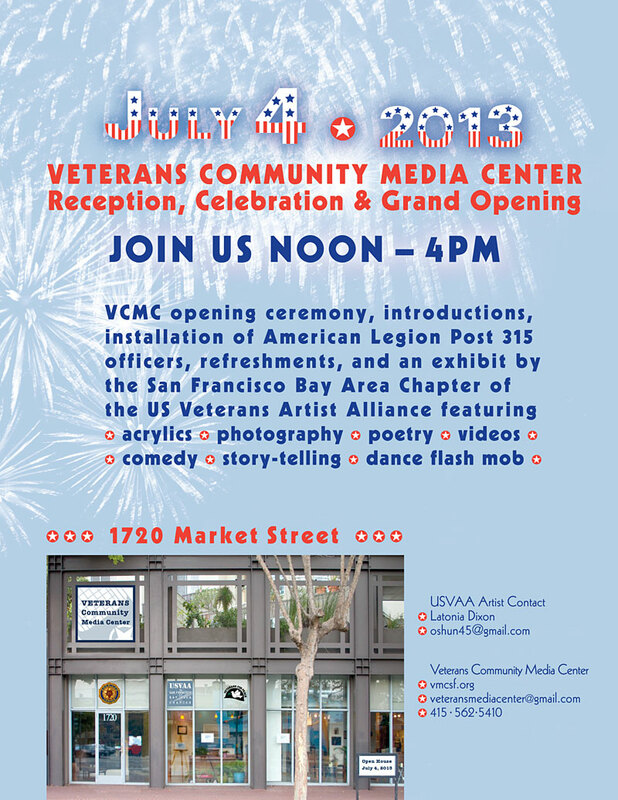 Categories: Events, Projects, Social Media | Tags: July 4, San Francisco, vcmc, Veterans Community Media Center, Veterans Media Center, vmcsf.org | Permalink.